^ How’s that for a title that sounds like I’m trying to sell you something? Oh yeah, lame infomercial announcer skills….I haz ‘em. 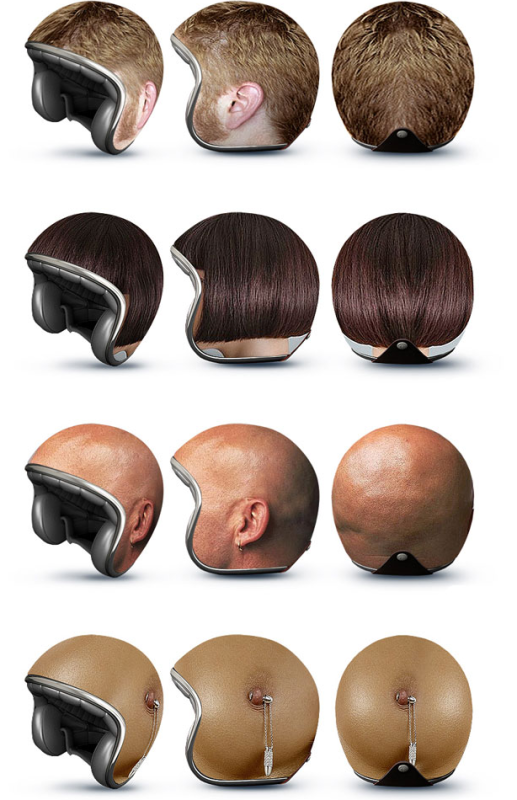 :P Buy 2, get a third helmet view for free! COOL!!!! Though the belly one is a bit unsettling. 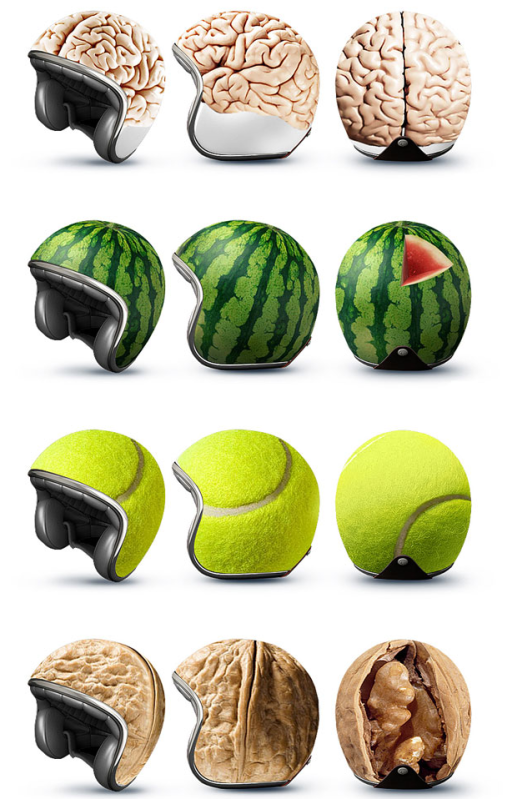 Those are very weird looking bike helmets. I would have a hard time not staring if I saw a person wearing one of those. They're a little too creepy looking for my tastes!